Common sense seems to have prevailed in the ongoing clampdown of Karnataka Tax authorities on dealers selling their products on Amazon marketplace. Just two days back, news had surfaced that Karnataka tax authorities have sent notices to over 100 sellers and had stopped them from selling their products that were stored at Amazon’s warehouse near Bangalore. According to ET, Karnataka Govt has asked it’s tax authorities to go easy on the Amazon sellers until such time that an amicable solution was arrived on various points that are in contention. As we pointed out in our earlier article, the point of contention remains as to who pays the value added tax for the goods stored in Amazon Warehouse and “fulfilled by Amazon”. For all the products that have “Fulfilled by Amazon” tag are essentially shipped by Amazon themselves. For this to happen, third party sellers have to store products at Amazon warehouses even before a customer has placed the order with Amazon. Three-fourths of the orders placed on Amazon are fulfilled by Amazon. After the products are sold, Amazon gets paid from customers and then pays it to third party merchant after they have deducted their cut. The merchants then pay Value Added Tax (VAT) or sales tax to the government post that. Generally, the ownership of products that come under “Fulfilled by Amazon” is passed to Amazon after the merchants delivers it to Amazon warehouses. So, Tax authorities for “practical purposes” want Amazon to pay the VAT rather than the third party merchants. In our view – the issue raised by tax authorities does not have too much merit. While I am not a tax expert, one thing is clear that Tax department is collecting proper taxes, just that it is from sellers. eCommerce business (especially marketplaces) operate much differently than what normal brick and mortar businesses operate. Online stores have to be agile in every way and hence they have to take steps that do not fit in traditional business practices. 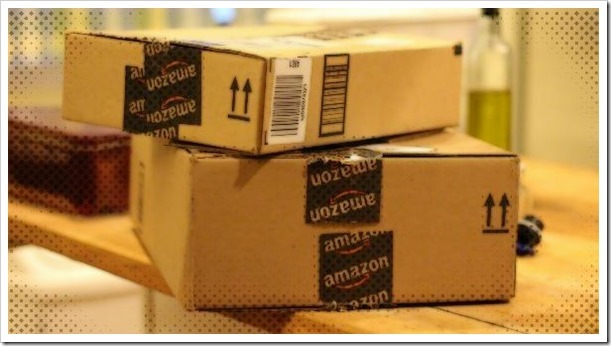 Amazon will never be able to give their “next day service” if they do not store their merchant’s products in their warehouses (before order is placed), nor will they have any control over logistics if it is given to third party courier service. To add to the problem, the products are sold by third party merchants. This kind of scenario is quite rare in traditional businesses. The tax laws that have been drafted previously have never taken these kind of scenarios into consideration, and traditional laws cannot be applied here. The best thing forward in our view would be to come up with new tax laws that keep up with the changing times and in the meanwhile, eCommerce sites like Amazon should be given certain leeway rather than trying to catch them with outdated laws. Would love to hear reader’s comments on this! "Common Sense Prevails, Karnataka Govt Asks Taxmen To Go Easy On Amazon Sellers", 5 out of 5 based on 1 ratings.